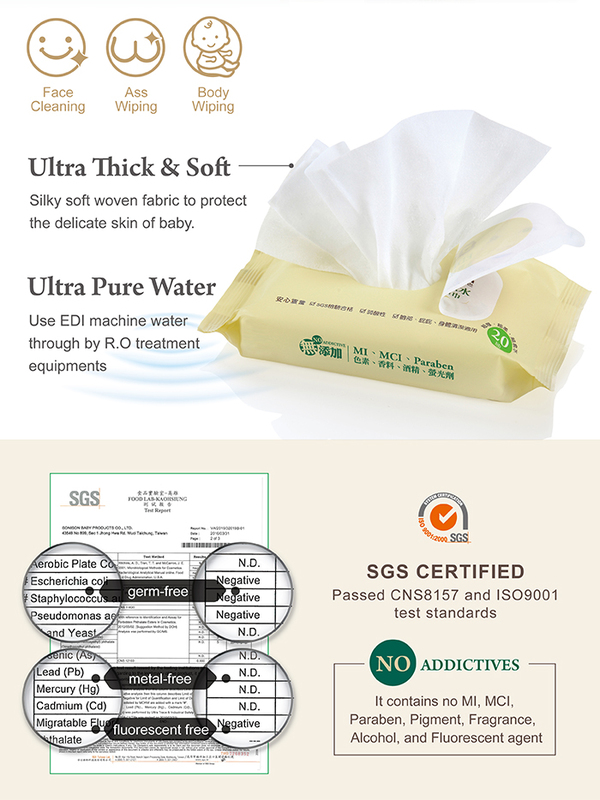 1.SGS certified, passed CNS8157 and ISO9001 test standards. 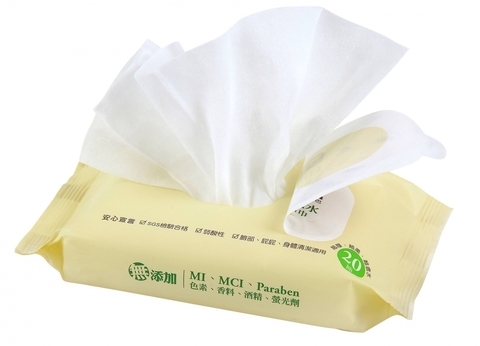 2.It contains no MI, MCI, Paraben, Pigment, Fragrance, Alcohol, and Fluorescent agent. 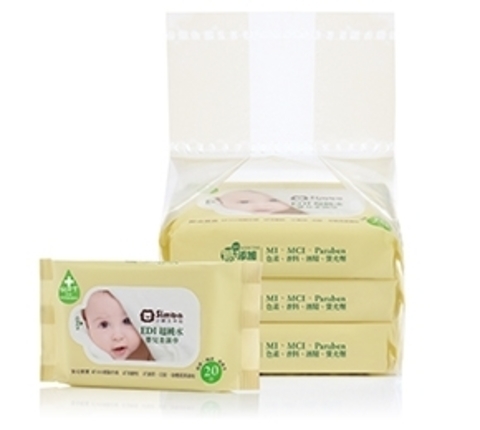 3.The wet wipes also with hypoallergenic, gentle on skin suitable for the whole family. 4.Use EDI machine water through by R.O treatment equipments. 5.Silky soft woven fabric to protect the delicate skin of baby. 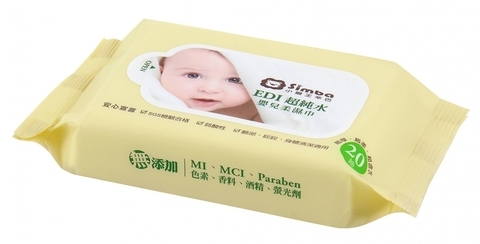 6.Comes with lid easy to use and storage. 7.Insured 24 million product insurance, safe to use.